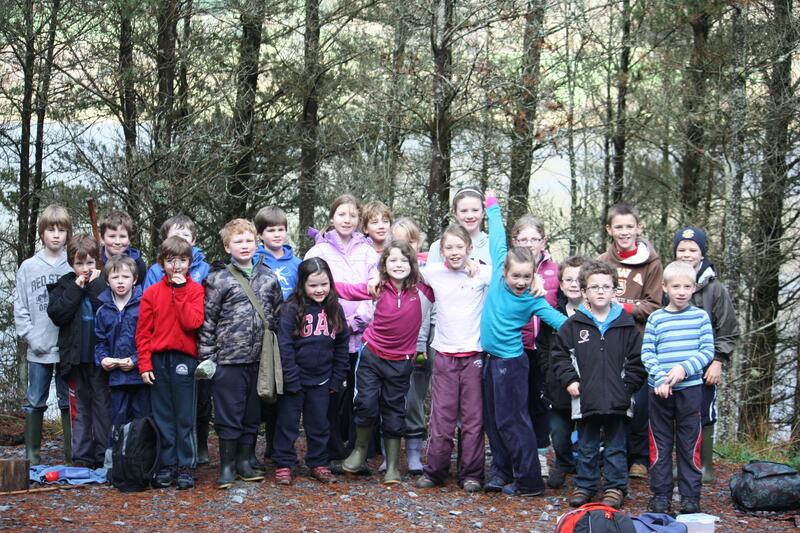 Last year, a small group got together to re-establish the Oughterard Scout group. The group was led by Neil Mooney and with the assistance of Scouting Ireland and their support officers, the group was re-established. 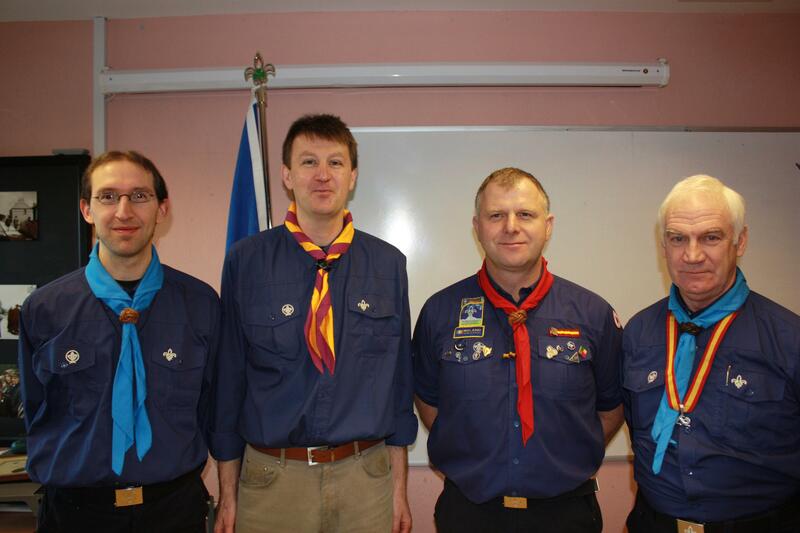 Meetings were held and some people expressed an interest in becoming scout leaders. 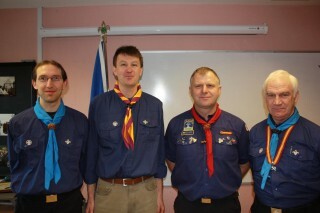 They carried out the essential training that is required to become a scout leader. After lots of planning the first intake of youth members got together last October. We currently have Beaver Scouts (aged 6-8) and Cub Scouts aged (9-11). The emphasis is on fun and how to get along with other people. The group is organised in small groups called lodges and when they gather altogether it is a colony. They learn lots of new skills and games as well as participating and planning any outings for the group. Beaver Scouts are given a say in what happens in the programme. It is great to get the opinion of the scouts so the leaders can change the programme to suit the group. The emphasis here is on fun and exploration. Cub Scouts learn new skills and learn about responsibility so they develop skills to take on hikes and camping trips. Cub Scouts are organised into small groups called Sixes and they gather together in what we call a Pack. The group meets and talks about things that they would like to do. This meeting is called a Council. Cub Scouts are given more responsibility and more say in the running of the programme and as a result can do more. Responsibility is the key to developing the Cub Scout. They spend more time working as a group and learning about working as a team. Getting back to nature is one of the activities of scouting. In October the group went for a hike at the Hill of Doon and cooked a barbecue afterwards. Great fun was had by all. The group is planning a camping trip for late spring. The Cubs and Beavers will assist in the planning of this trip and will be closely supervised by the group leaders to ensure it all goes as smoothly as possible. 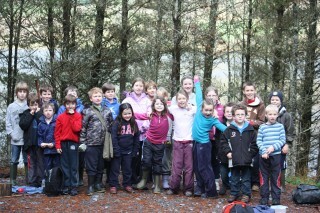 In June some of the Scouts are heading to Jamoige 2012 which is a gathering of all scout groups in Ireland! On the 11th December the group had their investiture where the leaders and scouts were all presented with their neckerchiefs and woggles. This was a great to day to formally establish the Oughterard Group. We are hoping that our group continues to grow and our numbers expand in 2012 now that we are gaining more experience. If you want to become a Scout just contact our group via email or through our facebook page and we will send you a form to fill in. We currently have a short waiting list. We would also love to hear from parents that are interested in becoming leaders. Leaders have to complete an essential training course (not very time consuming) and Garda vetting to become a leader. This page was added on 28/02/2012.